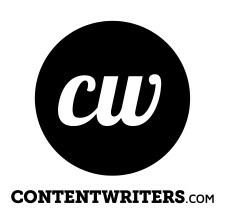 NEW YORK, October 17, 2018	(Newswire.com) - ContentWriters, a professional content writing service based in New York City, is ecstatic to host the inaugural writers social for seasoned staff and new hires. Writers are invited to attend this networking and learning opportunity on Friday, October 26, 2018, from 5:00 pm to 7:30 pm at Luna Coffee Shop in New York City. While at the event, writers can meet their fellow ContentWriters colleagues, learn about SEO Best Practices from ContentWriters’ Director of Marketing, Francesco Montesanto and network with the ContentWriters team. The event is a fantastic opportunity for writers to connect with the professionals they have been collaborating with on various content projects. “Personal connections are at the heart of what we do at ContentWriters. While we work with writers and editors from across the US, as a NYC-based content marketing agency, we’re looking forward to hosting an event that brings together our home city’s top content creators,” Emily O’Connor, CEO of ContentWriters stated about the event. Writers are also treated to complimentary food, wine and coffee while networking with fellow writers. ContentWriters produces world-class content for all major industries and business sectors by partnering expert writers with industry-specific clients to create all forms of content, ranging from blog posts to white papers and beyond. ContentWriters specializes in providing high-quality content for all major industries by pairing expert writers with industry-specific clients. The company produces all forms of content, including blog posts, email newsletters, social media posts, press releases, product descriptions, website content, and white papers. For more information about the services that ContentWriters provides, please visit www.contentwriters.com.